John is a graduate of Scranton Preparatory High School and King’s College (Wilkes-Barre, PA) where he earned a B.S. Degree in Business Administration. In 1976, he attended Dickinson College (Carlisle, PA) where he completed an intense course in Property and Casualty Insurance. He obtained an Agent and Broker License, as well as, a Surplus Lines Broker License thereafter. 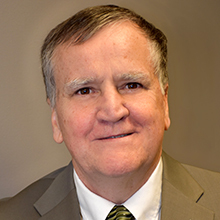 John began his insurance career in 1977 with the Eugene F. Hickey Agency (Scranton, PA). In 1978, he obtained a position with Franklin Life Insurance Company (Wilkes-Barre, PA). 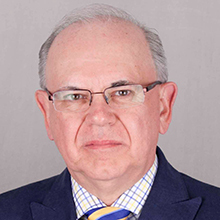 John then joined Joyce Insurance Group in 1979. He oversees mergers and acquisitions, structured settlements, and develops specialty insurance programs for specific industries. 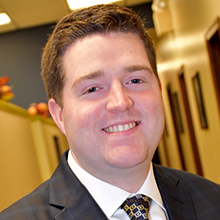 John is a member of St. Joseph’s Parish (Minooka, PA), Northeastern PA Association of Independent Insurance Agents, NARTA, Arm, IMMS, NASSTA, Donegal Insurance Council, and Penn Millers Insurance Co. Council. He is a former Eastern Agents Council Representative for Ohio Casualty and National Grange Mutual, and former President of the Board of Directors of Fox Hill Country Club and St. Joseph’s Children Center. John resides in Moosic, PA, with his wife, the former Maricay Lydon, and their two children, Marley and Evan. Joe is a graduate of St. John’s High School, Pittston, PA, and Luzerne County Community College, Nanticoke, PA. He attended Bloomsburg University majoring in Business Education & Accounting. In 1989, Joe became licensed in Property and Casualty, Life, Accident, and Health insurance and joined Joyce Insurance Group. He focuses his efforts on commercial insurance, overseeing the Commercial Lines Division and company-to-agency relations. He specializes in government and self funded entities. Joe is a member of St. Mary’s R.C. Church, Avoca, PA, the Jolly Boys Association, Avoca, PA, Greater Pittston Chamber of Commerce, the Avoca Lions Club, where he served as Secretary to the Board of Directors, and the Friendly Sons of St. Patrick, Greater Pittston Chapter, where he served as President and Treasurer. Joe resides in Hughestown with his wife, the former Ann Marie Just, and their five children, Joseph, John, Brent, Kahli, and Aidan. Joe is blessed with six grandchildren. William is a graduate of Seton Catholic High School (Pittston, PA), and the Culinary Institute of America, NY, where he earned an Associates degree in Hotel and Restaurant Management. In 1993, Bill became licensed in Property and Casualty, Life, Accident, and Health insurance and joined Joyce Insurance Group. He focuses his efforts on personal insurance, overseeing the Personal Lines Division and company-to-agency relations. He also oversees Employee Choice, a program that offers personal insurance through payroll deduction. Bill is a member of St. Mary’s R.C. Church (Avoca, PA), The Greater Pittston Chamber of Commerce Board of Directors, Catholic Social Services Board of Directors, Luzerne Foundation Board of Directors, and Big Brothers Big Sisters. 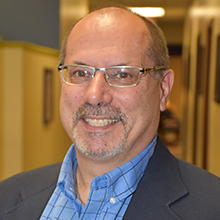 He is also a former member of St. Vincent De Paul Soup Kitchen Board of Directors, Wilkes-Barre C.Y.C, and Make-A-Wish Foundation of Northeastern Pennsylvania. Bill resides in Avoca, PA with his wife, the former Janet McCarthy, and their two sons, Bill Jr. and Jack. Mary is graduate of E. L. Meyers High School High School and attend King’s College majoring in Marketing. Mary joined Joyce Insurance Group in 1995 in the life department. In 2001, the Board of Directors appointed Mary the Corporate Secretary. In 2012, Mary was named the Director of Administration, where she oversees the overall operation of the agency and acts as a liaison between departments and the executive office. Mary also oversees and maintains all employee files. Mary is a member of St. Joseph Marello Church, Pittston, PA. She is a founding member of the Miles for Michael Fund of the Luzerne Foundation and serves as a committee member of the Care and Concern Free Health Clinic Golf Tournament. Mary resides in Jenkins Township with her husband William, and their twins, Nico and Ashley. Mark is a graduate of Scranton Preparatory School and The University of Scranton where he graduated with a degree in Finance. In 2003, Mark joined Joyce Insurance Group as a financial service representative where he handled the daily account servicing of over 300 individual clients and over 100 group clients. During this time, Mark obtained his Series 7, Series 66, and Series 24 in the financial services industry. In 2006, Mark was promoted to Benefits Manager. Under this role, Mark handles the daily servicing of the agency’s group benefits clients, individual life clients, and financial services clients. He also works with business insurance consultants by recommending and placing new coverage to their existing clients. He has recently graduated from the American College with his RHU, Registered Health Underwriter. Mark currently resides in Dickson City, with his wife Jennifer and daughter Carrie. 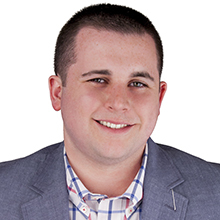 Corey is a graduate of Dunmore High School and Temple University, where he graduated from the Fox School of Business with a major in Business Marketing. While at Temple University, Corey completed several courses in the Fox School of Risk Management. In 2011, Corey joined Joyce Insurance Group as a Commercial Lines Service Processor. 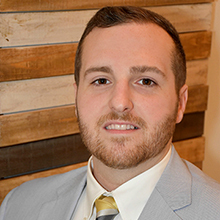 Corey now serves as the Commercial Lines Re-Marketing Manager where he compiles competitive quotes for current clients and also underwrites new business referrals. He is also the Girls Head Basketball Coach at North Pocono School District. He currently resides in Dunmore. Lynn has been working in the Insurance Industry for over 24 years. 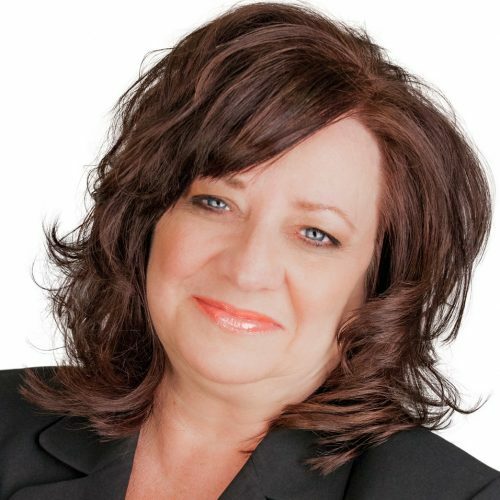 Having joined the Joyce Insurance Group in 1998, Lynn worked closely with VIP clients. 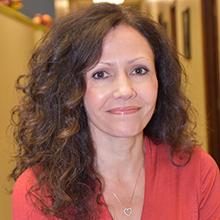 In 2017, Lynn was promoted to Co-Manager of the Personal Lines Department. Lynn is responsible for the personal lines production as well as our relationships with our Insurance carriers. Lynn keeps track of sales, helps implement procedures and provides information to all of her fellow Team Members. She enjoys being the mother of three handsome boys (who are all active in sports), being outdoors, playing golf, exercising and being active with her children. She resides in Falls Township with her husband Chad and family. 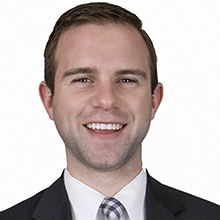 Shane joined Joyce Insurance in 2008, and worked as a personal lines intern during his college career. He acquired his Property and Casualty license in 2012, and is currently a Personal Lines Risk Manager. Shane graduated from Marywood University in Scranton, PA with a degree in Communications, where he was a member of the Society of Collegiate Journalists. Shane was promoted in 2017 to Co-Manager of our Personal Lines Department and is responsible for the personal lines production and training of 14 staff members in 5 locations. In Shane’s free time, he is a production assistant for a local television station and play by play announcer for the Northeast Pennsylvania Football Network. Shane also serves as a board member for Miles for Michael, a local cancer charity. He currently resides in Pittston, PA.
Joy joined Joyce Insurance in 2016 as a Licensed Personal Risk Manager and has worked in the insurance industry for over 17 years. Joy is licensed in Property and Casualty Insurance and is very experienced and knowledgeable in personal lines insurance, such as automobile, homeowner, motorcycles, watercraft, etc. She loves helping you to find great coverages at the most competitive prices, while also explaining the value, benefit and importance of those coverages. Joy lives in Pittston Township with her husband, Charlie. classic cars and sports. Joe resides in West Wyoming, PA.
Over the past 41 years, George Nackley, has become a leading figure in the insurance industry. 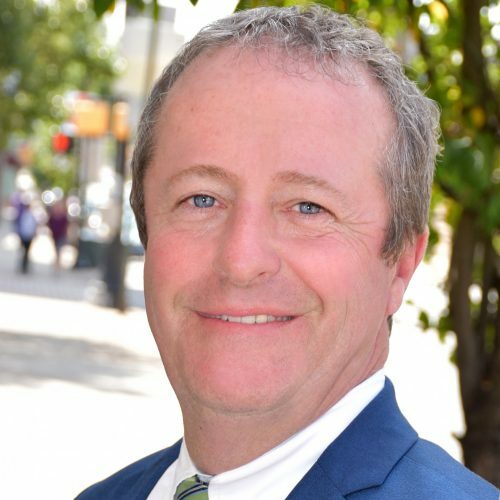 During his prominent career, he has successfully met the needs of all aspects of commercial and personal insurance, management, training, and claims. 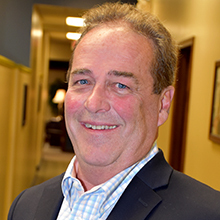 His focus on workers’ compensation policies and procedures, however, sets him apart from other insurance consultants. George pre-evaluates businesses to qualify eligibility then conducts a complete risk analysis of businesses’ personnel and operations. His complete review of loss history and individual injuries contribute to overall customer satisfaction. He has over 15 years of claims handling experience and was the Director of Operations for Princeton Insurance Company, Workers’ Compensation Division, NJ, for which he was responsible for underwriting WC accounts. 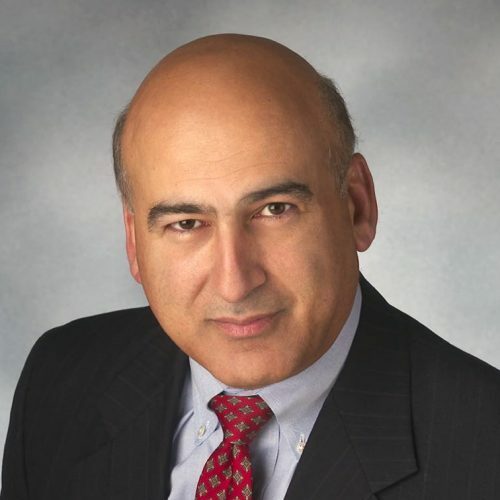 His knowledge of claims, underwriting and marketing uniquely qualifies to properly evaluate risks and contributes toward the overall quality and value of agency accounts. George is a graduate of Kings College and former President of Northeastern PA Claims Association. He has spoken to groups in Pennsylvania and Delaware on the subjects of time management, workflow, and safety. George currently resides in South Abington Township with his wife and children. Sarah graduated with a Bachelor’s degree in Criminal Justice from Marywood University and holds Property, Casualty, Life, and Health Insurance licenses. 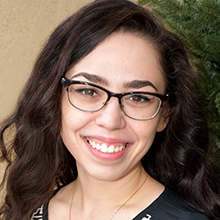 Sarah enjoys networking and building relationships and takes pride in providing her clients with exceptional service. 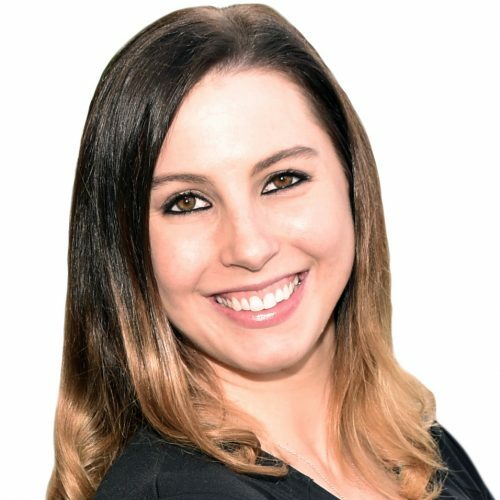 With over 7 years of insurance industry experience, Sarah’s primary focus is in commercial insurance for apartment buildings, strip malls, mixed-use buildings, real estate brokers, and investment property owners. She is also a licensed Real Estate salesperson and Property Manager. She is proud ‘dog mom’ to Parker and loves spending time with Parker and her family. Sarah also enjoys exercising, martial arts training, traveling and staying active in the community. Cheryl joined Joyce Insurance in 2005 and obtained her Property and Casualty license the same year. She obtained her Life, Accident, and Health license the following year and is a Commercial Risk Manager. She is a graduate of Kings College with a BS in Marketing and a minor in Business Administration. Cheryl obtained her CLCS designation in 2006. She works with public entity type accounts such as municipalities, water, sewer and transit authorities, and school districts. Cheryl resides in Plains, PA with her husband Paul. Brent Joyce is an alumni of Scranton Preparatory School. After graduation he attended Pennsylvania State University and graduated with a Bachelor of Sciences degree in Business Administration, with a minor in marketing and management. 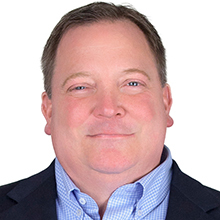 He’s a licensed Property & Casualty insurance broker in PA.
Brent has been developing and focusing his efforts on specializing in machine shops, non-profit organizations, manufacturers, and homeowners associations. 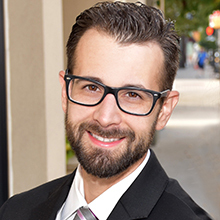 Before making the move to Pittston, Brent was working for an Allstate subsidiary in Lords Valley, PA. While there, his sole focus was personal lines insurance, servicing accounts and writing home and auto insurance. Brent is a member of St. John’s church (Pittston, PA), The Friendly Sons of St Patrick (Pittston, PA Chapter), and The Knights of Columbus (Pittston, PA Chapter). Brent currently resides in downtown Pittston. A.J. is a graduate of Wyoming Area High School, Exeter, PA and King’s College, Wilkes-Barre, PA, where he earned a B.S. degree in Business Administration. Following graduation, A.J. 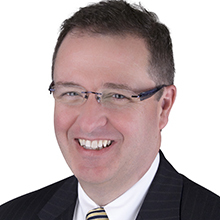 began his insurance career at GUARD Insurance Group in Wilkes-Barre, PA. He spent over ten years at GUARD serving as an in-house marketing rep and then as a field representative servicing agencies in PA, NJ, DE, and NY. In 2011, A.J. received his property & casualty insurance license and has been a producer for the past seven years. A.J. serves as a volunteer for the Exeter Lions Little League, and is a member of Corpus Christi Parish in West Pittston. He resides in Exeter with his wife, Courtney and their two children, Anthony and Briella. 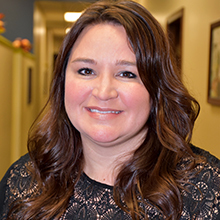 Jessica began her career with Joyce Insurance in 2003 as a Personal Lines associate and received her Property and Casualty, as well as, her Life, Accident, and Health Insurance licenses. As a result of her attention to detail, client support, and risk assessment, Jessica moved into the commercial division in 2009 to further expand her capabilities. She works with business owners assisting them in managing their insurance programs. She focuses on restaurant, social clubs, and convenient stores of the insurance industry. Jessica is a current board member for Holy Rosary School, PTO, and St. Vincent DePaul Soup Kitchen. Jessica resides in West Pittston with her son, Benjamin. Todd has over 23 years experience in the insurance industry. Todd focuses on “closing gaps” and saving his clients money on their insurance coverage by using a hands-on approach. He first addresses the information gap between insurance policy language and business owner’s interpretations to better explain coverage options. Next, he addresses the insurance coverage gap left behind when insurance policies are not comprehensive or fail to address specific risks leaving business owners vulnerable to financial disaster. Then, Todd goes to battle for you and does not stop fighting until he receives the best price and coverage. Todd works for you not the insurance carriers. 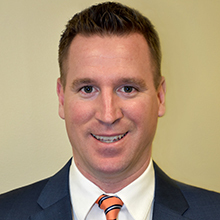 A father of two, Todd resides in Hanover Township, PA.
Tom has an extensive financial services background with over 25 years experience in risk management, loss control and commercial & personal insurance. He is licensed in the Commonwealth of Pennsylvania in areas of Property & Casualty, Life, Accident and Health Insurance. As a Commercial Lines Insurance Risk Manager, Tom identifies and evaluates risks and opportunities that are specific to our clients’ businesses. Lower risk is a great advantage in bringing about enhanced profitability and growth as well as greater peace of mind. That is the kind of strategic assessment Tom brings to his clients. Tom is a graduate of the University of Scranton with a Bachelor of Science degree in Accounting. Tom resides in Peckville, PA with his wife, Jean Marie. They are the parents of 3 children. Larry is a graduate of Scranton Prepatory High School and Temple University, where he graduated from the Fox School of Risk Management and Insurance. Larry has been an intern with Joyce Insurance Group since 2006, working with the both the financial department and the commercial lines department. Larry joined Joyce Insurance Group as a full-time employee in 2011 as the Commercial Lines Re-Marketing Manager. He now serves as a Commercial Risk Manager and works closely with Business Insurance Consultants to maintain a book of business. He is also an Assistant Boy’s Basketball Coach at Scranton Prep and resides with his wife, Ellen, in Scranton, PA.
Stephanie joined Joyce Insurance Group in 2013. She is a graduate of Lock Haven University with a BS degree in Business. She started her career in personal lines and then quickly moved into the commercial lines department. 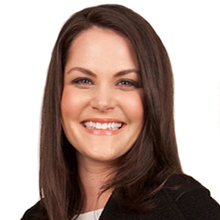 Stephanie is a commercial lines underwriter who services small commercial accounts and works closely with business insurance consultants on servicing existing accounts. She also specializes in bond placement for the agency. Stephanie lives in Pittston Township with her husband Sam and two children, Gabriella and Marco. Mallory joined Joyce Insurance in 2016 as our receptionist and shortly after became the Commercial Lines Service Processor. After obtaining her Property and Casualty license in 2017, she was promoted to a Commercial Risk Manager. 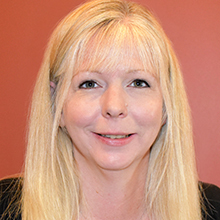 Since joining Joyce Insurance, she has been very active in the Pittston community and enjoys participating in the Greater Pittston Chamber’s events. 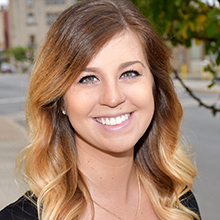 Mallory went to Marywood University and studied Clinical Psychology. She currently resides in Scranton, PA with her two year old son, Colten. Lisa joined Joyce Insurance as a Licensed Personal Risk Manager, in 2011. She is a graduate of Pittston Area High School. Prior to obtaining her Property and Casualty license in 2007, her primary work experience was in sales and customer relations. It is in that 10 years of customer relations where she learned the skills and importance of the client relationships and uses that experience to provide the highest standards of customer satisfaction at Joyce Insurance. Lisa recently obtained her AINS designation in 2015. 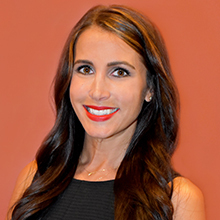 In 2016, Lisa was promoted to Commercial Risk Manager. 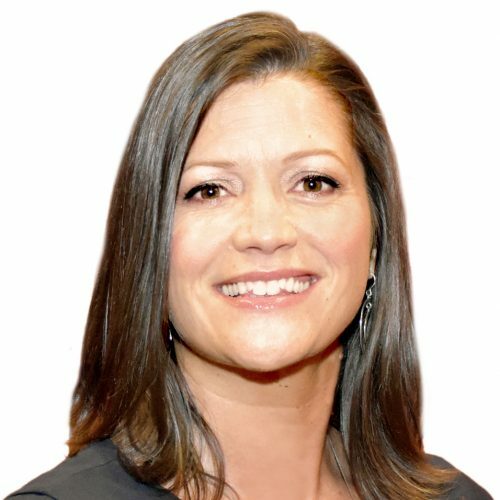 She is dedicated to providing her clients with the resources and insurance knowledge they need to make an educated decision about their insurance protection. Lisa resides in Duryea, PA with her husband Mark. Maggie joined our team in 2017. She is our receptionist and is the first person you will see when you walk into our Pittston office. She is very welcoming and will take care of any of your needs. Maggie grew up along the Susquehanna River, so being active outside has always been a love of hers. Her hobbies also include practicing daily yoga & meditation at Melt Hot Yoga!